One of the dearest memories of my childhood was visiting my grandpa’s stable. Especially when I got to hang around with the horses. I distinctly remember a particular horse called Sugar. Since it had a small stature, I got to help my grandpa saddle him up. But after a while, grandpa sold the stable and I had no contact with horses until I decided to take up horse riding in my late 20s. So, now it was time to brush up on the skill I had learned as a young child (which I never thought I’d use). And I found that nothing much has changed ever since – the saddlery pieces have remained the same with the only difference being that now you get to choose more stylish designs. So, if you’re planning to get your first horse, saddle up – here are all the pieces of saddlery you need. The first piece of saddlery gear you should buy for your collection is a saddle pad. The saddle pad is positioned directly on the horse’s back before you actually put on the saddle. As such, it absorbs the shock of riding and prevents the saddle from rubbing and irritating the animal’s coat and skin. On the market, there are a variety of saddle pads to choose from, such as gel pads, wool pads and even air pads. If you’re having musculoskeletal problems, you can also choose orthopaedic pads which offer great support for staying comfortable and pain-free when riding. So, now we get to the most important part – the saddle. It’s crucial to choose a saddle that suits both you and your horse. Otherwise, it can slip and cause you to fall or create pressure points which can be dangerous for the health of your horse. And obviously, a poorly fitted saddle is uncomfortable to ride in. So, make sure that the saddle corresponds with your horse’s size and perfectly moulds around its back. Since all horses are not created equal, the best way to know whether your saddle fits your horse is to check whether the width of the gullet is the same as the width of the horse’s back. Additionally, when choosing a saddle, it’s important to pick one that supports your riding style. 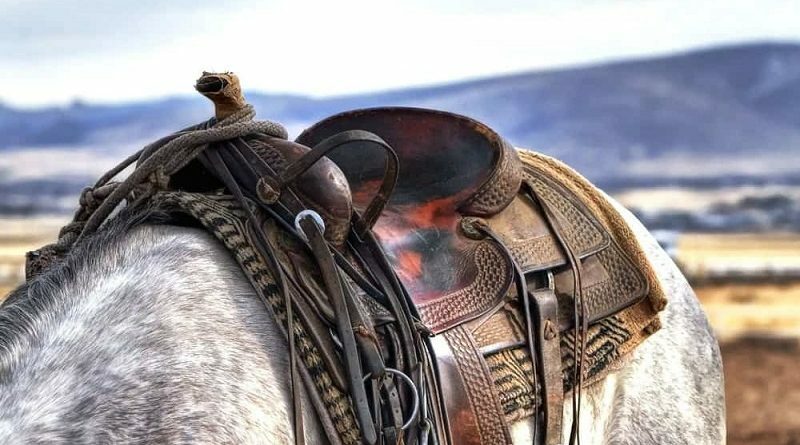 For instance, Western riding requires saddles that are lightweight, whereas roping needs heavier saddles with reinforced horns. In order to control to give instructions to your horse its pace and direction of movement, you need a bit and a bridle. The bridle includes a headstall that’s placed on the horses head and the reins. The bridle pieces can be made of nylon or leather. While nylon is a more affordable option, it isn’t as strong and durable as leather bridles. And then there’s the bit which is the metal part that goes into the animal’s mouth and connects to the bridle. When choosing the bit, it’s important that you choose one that feels comfortable to the horse. Since beginner riders steer with both hands and often use a riding method called “plough reigning”, it’s recommended to use a snaffle bit that won’t tug so much at the horse’s mouth. And finally, the last piece of saddlery is the stirrups. Although they aren’t always a necessity, they do make riding easier by giving you somewhere to place your feet. If you’re considering using stirrups, you can choose a saddle that comes with them attached for greater convenience.